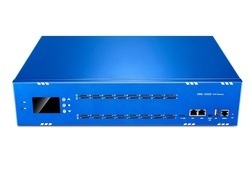 The GSM gateway will be 100% compatible with Asterisk, Elastix, trixbox, FreePBX, 3CX, FreeSWITCH SIP server and VOS VoIP operating platform. It can help users reduce telecommunications and communication cost. OpenVox VoxStack Series GSM Gateway is an industry 1st open source asterisk-based GSM VoIP Gateway solution for SMBs and SOHOs. With friendly GUI and unique modular design, users may easily setup their customized Gateway. Also secondary development can be completed through AMI. OpenVox SWG-2032 series wireless gateways include SWG-2032 G/C/L.SWG-2032 series wireless gateways supports multiple codecs, including G.711U, G.711A, GSM, G.722, G.723,G.726, G.729 multiple coding. Our products support SMS messages sending, receiving, group sending and SMS to E-mail. 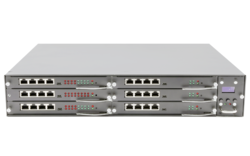 The SWG-2032 series gateways will be 100% compatible with Asterisk, 3CX,FreePBX,FreeSWITCH SIP server and VOS VoIP operating platform. It can help users reduce telecommunications and communication costs. 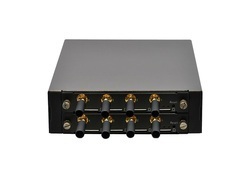 OpenVox SWG-1016G gateway supports 16 GSM Channels and 1 Ethernet interface, And the band is 850/900/1800/1900 MHz. 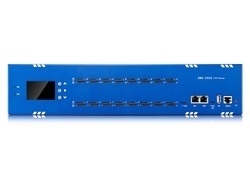 SWG-1016G gateway supports multiple codecs, including G.711U, G.711A, GSM, G.722, G.723, G.726, G.729 multiple coding. The GSM gateway will be 100% compatible with Asterisk, Elastix, trixbox, 3CX, FreeSWITCH SIP server and VOS VoIP operating platform. It can help users reduce telecommunications and communication costs. 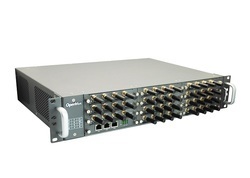 OpenVox SWG-2032G gateway supports 32 GSM Channels and 1 Ethernet interface, And the band is 850/900/1800/1900 MHz. SWG-2032G gateway supports multiple codecs, including G.711U, G.711A, GSM, G.722, G.723, G.726, G.729 multiple coding. The GSM gateway will be 100% compatible with Asterisk, Elastix, trixbox, 3CX, FreeSWITCH SIP server and VOS VoIP operating platform. It can help users reduce telecommunications and communication costs. OpenVox VoxStack Series GSM Gateway is an industry 1st open source asterisk-based GSM VoIP Gateway solution for SMBs and SOHOs. With friendly GUI and unique modular design, users may easily setup their customized Gateway. There are three GSM Gateway models with VoxStack series GSM Gateway, the VS-GW1202 series, VS-GW1600 GSM series and VS-GW2120 series. 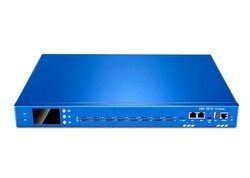 The new GSM Gateway VS-GW2120 Series with the Modular Design can provides up to 11 plug-in GSM gateway modules which could support from 4 to 44 GSM channels and 3 Ethernet ports, developed for interconnecting a wide selection of codecs, including G.711A, G.711U, G.729, G.722, G.723, G.726 & GSM, to the GSM cellular networks to quickly reduce telecommunication expenses and maximize cost-savings. 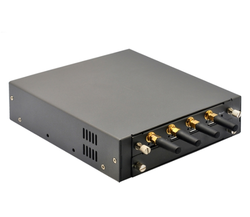 With the unique design of the VoxStack Gateway, it can support hot-swap for both SIM cards and GSM gateway modules. Users can simply add or remove the modules for hardware expansion or exchange. Each GSM gateway module runs an independent asterisk system inside. Compliant with any IP-Based Applications: With the optional inbuilt industrial server, UNIWAY series are compliant with any IP-based applications; it also even supports any category of third party software, including UC, IP-PBX, Contact Center and more. In legacy PSTN network, UNIWAY could converge applications via internal modules. Diverse Media Resources: Support high-capacity voice playback and Codecs, conferencing, faxing. Support T.38/T.30 optimised for IP-PBX, IVR and ACD applications, with EXT IVR server or GUI management. Carrier-Grade Reliability: Special power system with the standby redundancy advanced cooling system to reassure long-standing robustness special air cleaner to protect against dust accumulation inside chassis Inside temperature control and alert system. No need to change wiring when changing functional modules.